David Dalka advises executives to rethink perspectives and reshape priorities about business, technology and trends in society. David Dalka, Founder and Managing Director of Fearless Revival, advises Chief Executive Officers, global leaders, and their teams to rethink perspectives and reshape priorities about business, technology and trends in society. David Dalka, Founder and Managing Director of Fearless Revival, advises Chief Executive Officers, global leaders, and their teams to rethink perspectives and reshape priorities about business, technology and trends in society. David favors an approach that challenges status quo assumptions about interoperability opportunities between functions, core purpose and while creating bias for action. David translates symptoms, buzzwords, and information overload into actionable root causes. Clients can take appropriate actions after getting unique advice. David invents new paths to improved organizational performance. His insights allow leaders to see through a customer-focused lens that revitalizes decision making. This leads to a more effective you, superior organizational performance and a better community. Notable career events include leading transformation while at BlackRock during the 80 to 800 person hyper-growth phase, AllianceBernstein, a division of AXA S.A. de CV, and PPM America, a division of Prudential plc. He completed a MBA at The University of Chicago. As a part of his ongoing research and passion for lifelong learning, David participated in thousands of events, read thousands of books and research papers. He also conducted podcasts with authors he wanted to ask deeper questions of to gain new insights. These experiences have led to David having a wide breadth and depth of perspectives. As a result of this research, David discovered the need to found Fearless Revival. David Dalka, Founder and Managing Director of Fearless Revival, counsels Chief Executive Officers, global leaders, and their teams to rethink perspectives and reshape priorities about business, technology and trends in society. David favors an approach that challenges status quo assumptions about interoperability opportunities between functions, core purpose and while creating bias for action. David translates symptoms, buzzwords, and information overload into actionable root causes. Clients can take appropriate actions after getting unique advice. David invents new paths to improved organizational performance. His insights allow you to see through a customer-focused lens that revitalizes decision making. This leads to a more effective you, organization and a better community. David noticed crucial strategic gaps between business operations and digital technology strategy. This all started at a search engine and digital strategy conference in 2005. The event triggered a fascination with organizations struggle to adapt in the digital era. He participated in many conferences in different capacities. He uses experiences in creating real-time decisions to reduce risk and improve corporate governance. Experiences include financial services, high growth startups, and many industries as a strategy consultant. He instills confident rapid action in those around him in a tailored fashion. David was a leader within BlackRock during the 80 to 800 employee growth phase. BlackRock was the fastest growing and most transformational financial services company in history. While at BlackRock David pioneered new forms of financial services analytics and client reporting workflows from manual quarterly statements to continuous Internet delivery. David led teams which created real-time decision-making processes that reduced outcome variability. Many competitive advantages that made BlackRock an industry redefining leader were developed during his tenure. Beyond BlackRock, David held leadership roles at Alliance Bernstein, a division of AXA S.A. de CV, PPM America, a division of Prudential plc, and KeyCorp, a Fortune 500 company. He completed a MBA at The University of Chicago. He left the investment management industry following the unfortunate events of September 11, 2001. Unique experiences allow him to communicate concepts to audiences in a tailored fashion. 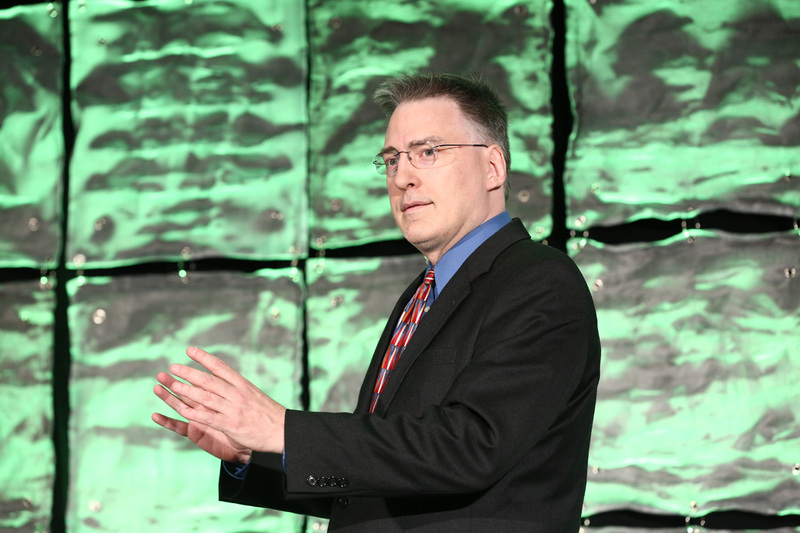 David presents globally as business leadership keynote speaker. He has spoken at conferences and executive retreats across North America, Europe, and Asia. As an advisor to senior level executives, he inspires executives to address relevant target customers to maximize business growth, revenue, and cash flow. David has been quoted in major business publications including the Wall Street Journal. David has published many articles and was interviewed on programs like Total Picture Radio. As a part of his ongoing research and passion for lifelong learning, David participated in hundreds of events, read thousands of books and research papers. He also conducted podcasts with authors he wanted to ask deeper questions of to gain new insights. These experiences have led to David having a wide breadth and depth of materials. As a result of this research, David discovered the need to found Fearless Revival.